Well-written, reader-friendly website content is definitely good for business – it helps your customers to find what they’re looking for quickly. Customers are not the only audience for your content though – search engine spiders and directory editors are looking at it too. 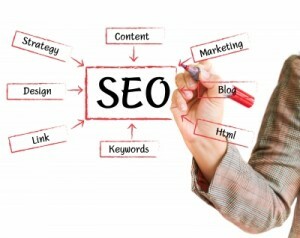 They’re checking the copy on your website for relevance in search engine results. Helping your website to gain visibility doesn’t just happen by magic though – you need the text on your website to be Search Engine Optimised. SEO-enhanced website content gives your site greater visibility, which means more targeted traffic, hence quality leads and higher sales. I’m familiar with dark art of SEO copywriting so I can ensure that the right key phrases appear on each page of your website. I’ll also make sure that your site uses effective internal links and I’ll optimise page titles, meta descriptions and keywords. Working closely with my clients to identify the most important keywords and phrases is vital. Only when I have this information will I get cracking on writing your content. I won’t stuff your content full of keywords, as this can be awful for your readers, but I will ensure that your keywords and phrases appear in the right places. It’s not an easy balance to achieve, which is why getting your website copywriting done by a professional will save you both time and money.